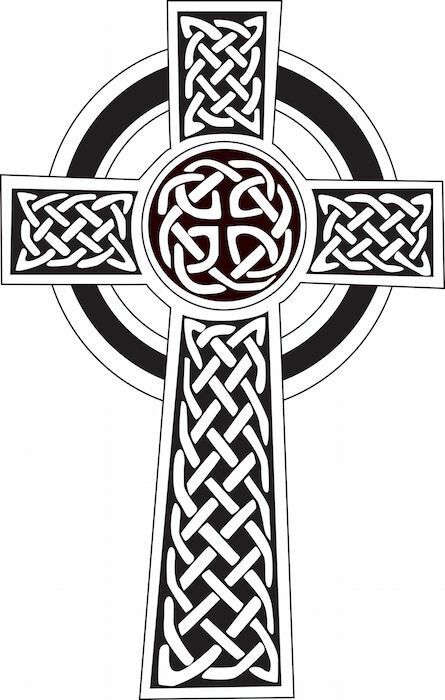 The Celtic Cross is a popular design that represents the cross of Christ. Although no one knows for sure how the circle that surrounds the center of the cross came to be, there are several theories. 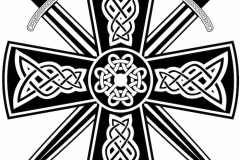 Some claim the circle represents the Roman sun-god Invictus, making it a blend of pagan and Christian symbolism sometimes referred to as the Celtic Sun Cross. Others claim it represents the halo of Christ. 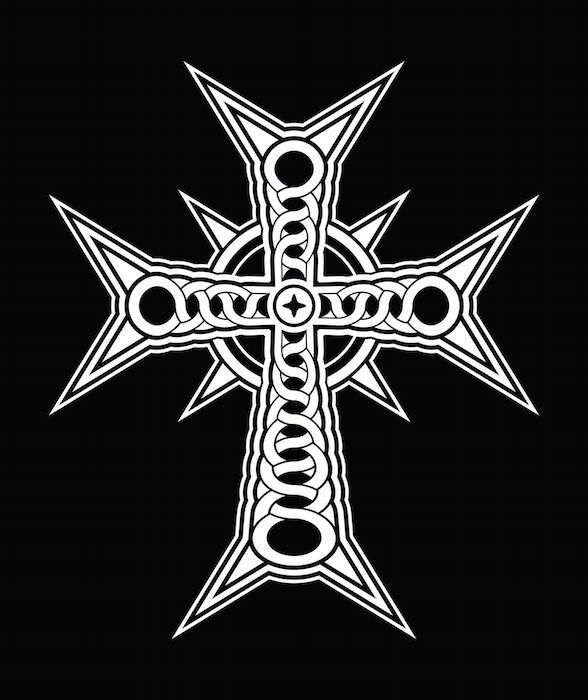 Regardless of its origins this Christian symbol has made its way into the Celtic artwork and is often depicted in tattoos. 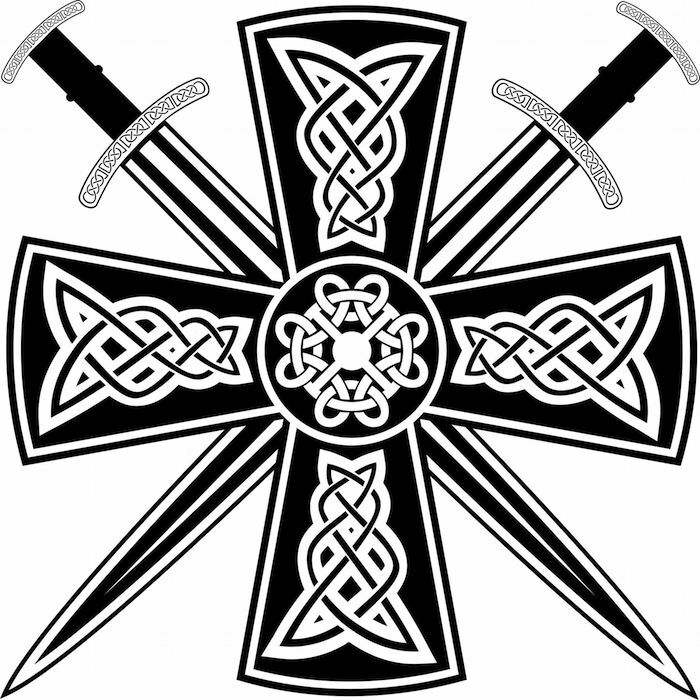 The Celtic cross tattoo has several variations, but the basic design includes a cross with a tall vertical tier with two shorter arms to the sides. 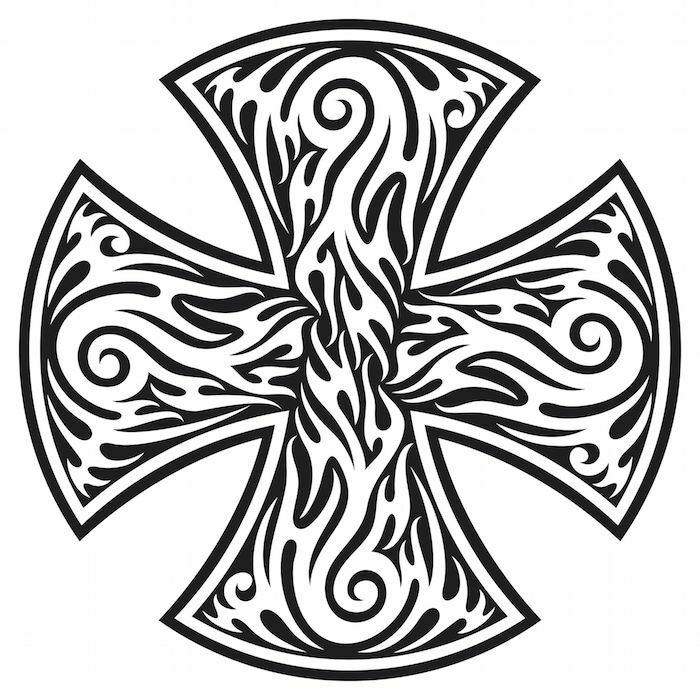 This part of the cross is similar to the traditional depiction of a Christian (Latin) cross or crucifix. It also contains a circular motif that surrounds the center where the arms meet. 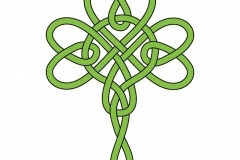 Celtic cross tattoos tend to be ornate and can include other design elements, like shamrocks or interwoven knots. 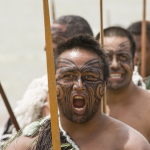 Some even resemble tribal tattoos. 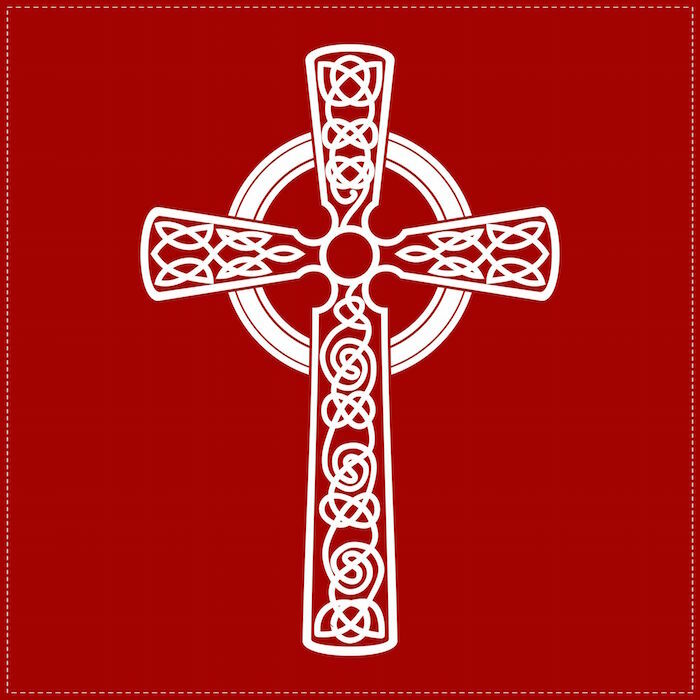 What Does the Celtic Cross Tattoo Mean? 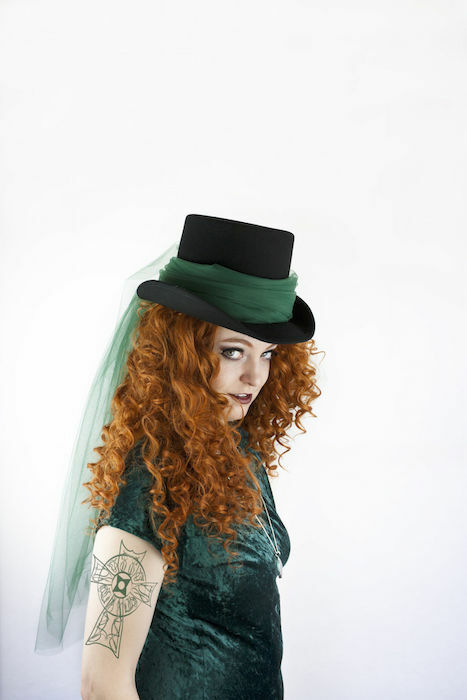 For many, a Celtic Cross tattoo represents Irish heritage while for others tattoos of a Celtic Cross are religious tattoos. 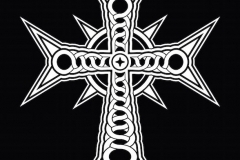 Simple Celtic Cross: These tattoos are simple and do not contain ornate features. 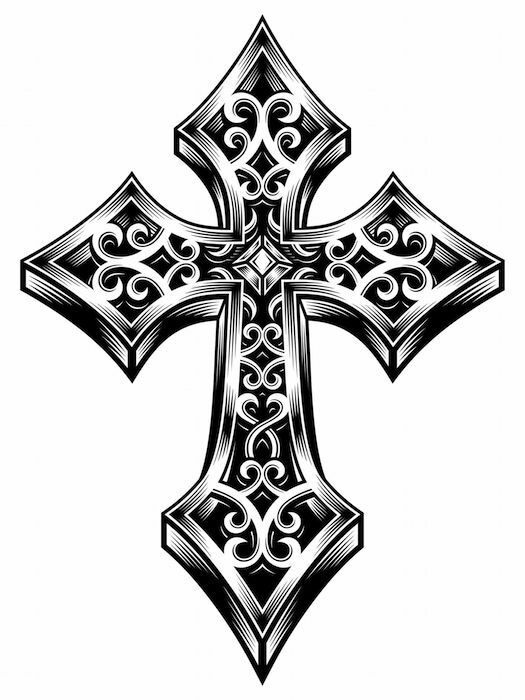 The shape of the cross stands alone and is typically done in black. It can be a religious symbol or a sign of a proud heritage. It ranges in size and placement from a tiny cross on the hand or ankle to a large cross on the side. 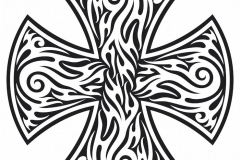 Ornate Celtic Cross: These Celtic Cross tattoos may feature cross bars that flare at the end and are filled in with ornate scrolls. The base it typically black, but it may be shadowed with green. It may contain other features in combination with the cross. 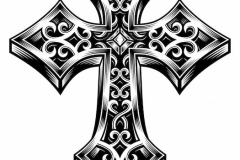 This cross is typically associated with faith, hope and religious beliefs. Shamrock Celtic Cross: The Shamrock Celtic Cross is adorned with green shamrocks. 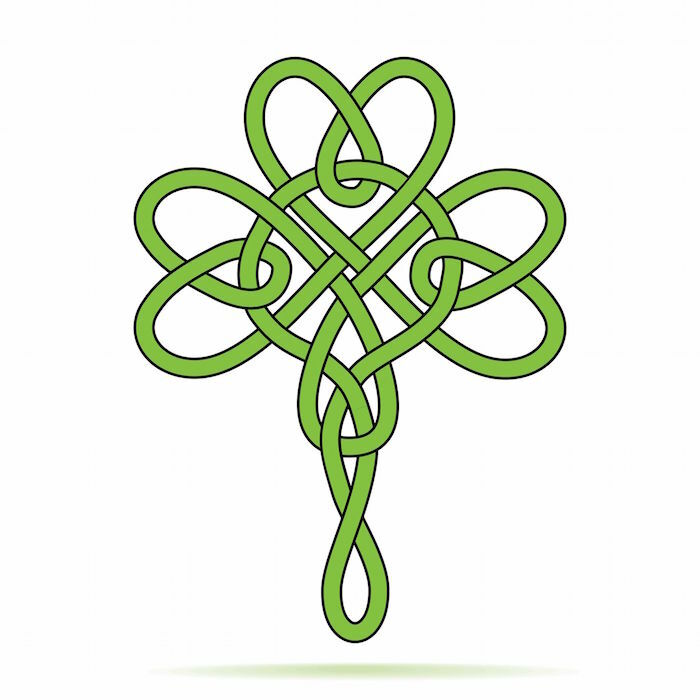 A large shamrock is typically placed in the center of the cross with smaller shamrocks filling in the bars of the cross with a repeating pattern. 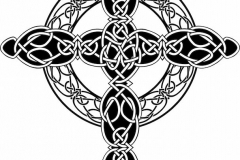 This Celtic cross tattoo generally symbolizes a proud Irish heritage, but it may be a religious symbol as well. Celtic Knot Celtic Cross: The Celtic Knot Cross is designed with interwoven Celtic knots making up the base of the cross. Sometimes the Celtic Knot is reserved for only the containing circle. 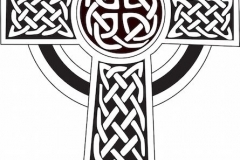 This Celtic cross tattoo may contain a number of colors, but green and black typically remain the predominant colors. 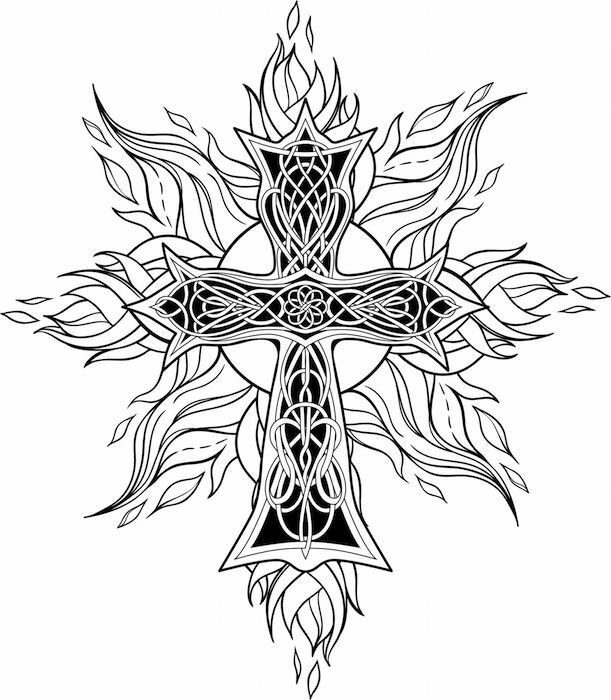 This tattoo can symbolize religious beliefs, heritage or any of the other traits associated with a Celtic Cross. The Celtic Cross is typically worn in a visible location, such as the arm or leg, but it can be placed on the side, chest or back. 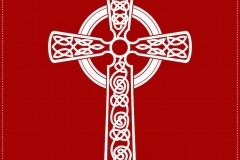 The Message a Celtic Cross Tattoo Conveys is a positive one of either pride in your Irish heritage or your commitment to your faith and trust in the future. It’s simple beauty is often viewed favorable by strangers. 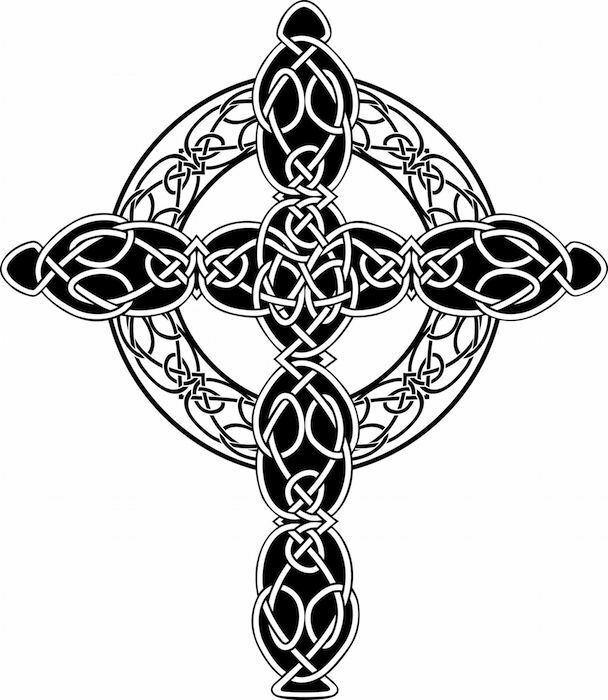 If you wear a Celtic Cross tattoo you are likely to be of Irish decent and concerned about preserving the past. You may also be deeply religious or spiritual and be seeking your roots. You may also wish to express your hope for the future and your faith that everything will work out for the best in your life. 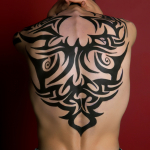 There are many reasons to choose a Celtic Cross tattoo. 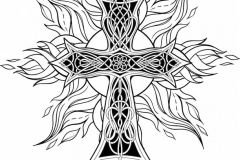 You may choose one because you or a loved one has Irish roots, you wish to express your Christian faith, you are seeking spiritual enlightenment or simply because they are intricate and beautiful designs.